All European households will have broadband speeds of 30Mbps (megabits per second) by 2020, the European Union has pledged. 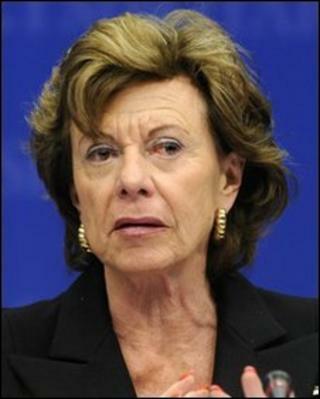 The raft of measures was announced by newly appointed digital affairs commissioner Neelie Kroes. Laying out her plans, Ms Kroes said that the EU invested 40% less in technology than the US. It meant that nearly a third of Europeans had never used the internet and only 1% had access to fibre-based high-speed networks.